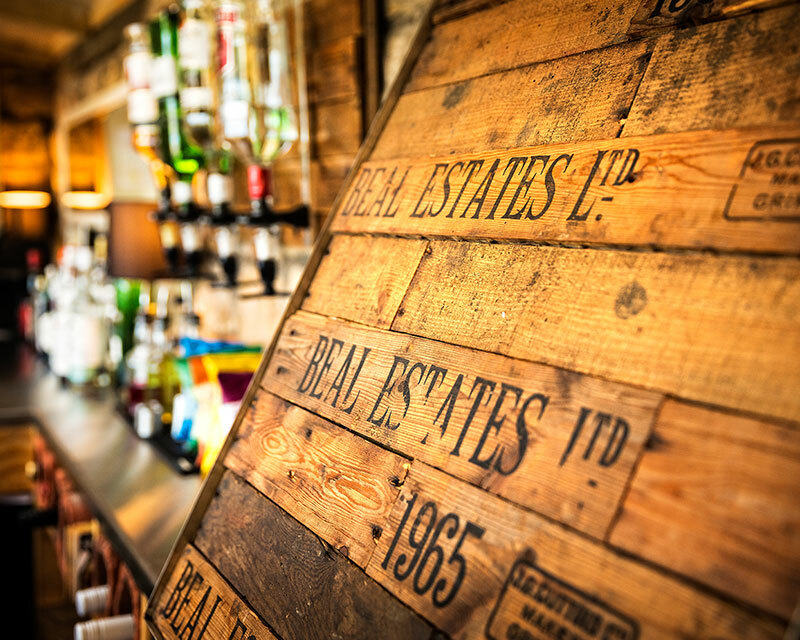 The Barn at Beal Restaurant offers the customer a fabulous dining experience, from Coffee & Cake to a 3-course meal with wine. Using locally-sourced ingredients wherever possible and cooked fresh in our kitchen. We ask that coach trips intending to visit contact us in good time prior to the date. We are open 7 days a week, Please click here for more information regarding opening and food services times. Spectacular views and open 360 days a year. 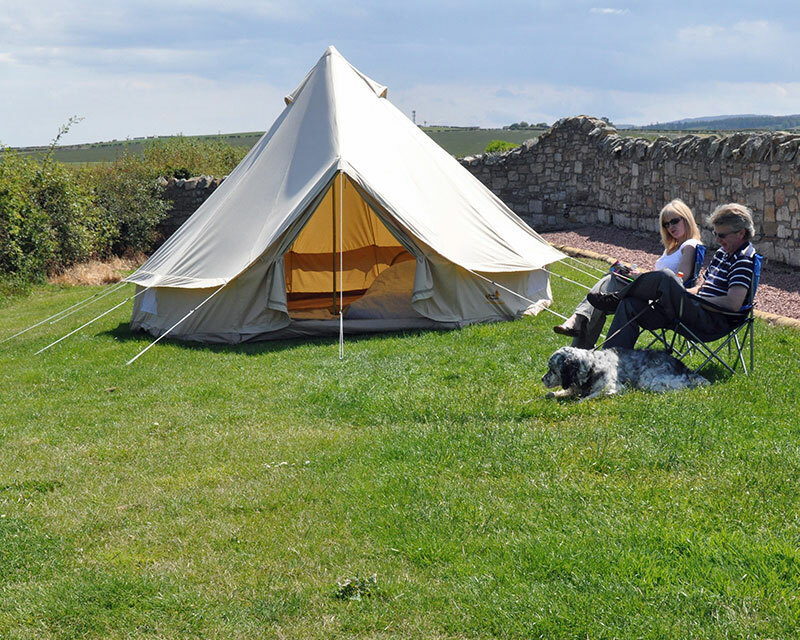 There are 12 tent pitches and 14 hard-standing for Caravans/Campervans. Electric is available on all pitches. The Barn at Beal, as the name suggests, was formerly a cart shed/barn built in the early 19th Century. Disused, redundant and in need of repair, the Smith family who have been farming 1000 acres of arable land at Beal since 1972, saw the potential of the attractive building in its unique location. In 2008 they diversified and converted the shed into a Coffee Shop & Restaurant. 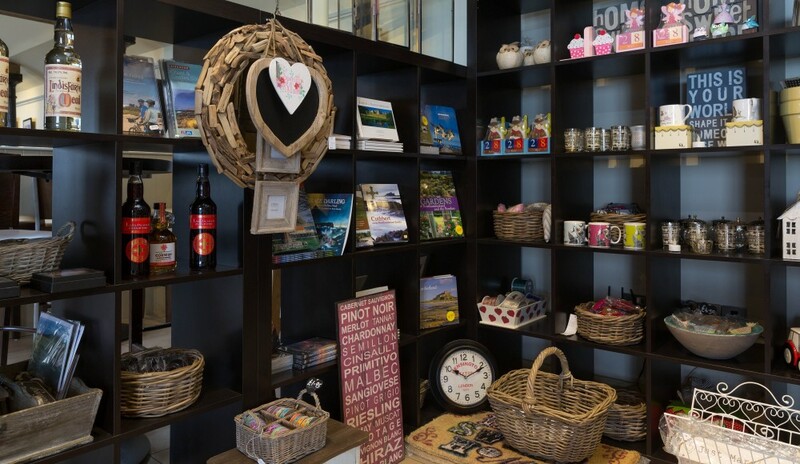 Within the Restaurant we also have a small Gift Shop selling quirky gifts along with home made jams & chutneys, local honey and honey products and the infamous Lindisfarne Mead! There is also a fine selection of artwork by local photographers and artists adorning the walls and some excellent cards and post cards. Why not treat a loved one to the perfect gift this Christmas we offer bespoke Gift Vouchers for more information or to purchase a gift voucher please call 01289 540044. At The Barn at Beal we don’t offer ‘packages’. We help to create a memorable experience for each couple who holds a Wedding Reception, Civil Partnership Reception or Private Function with us. From the picture windows in the Restaurant – or from out on the patio, you’ll have the backdrop of Lindisfarne and the Northumberland coast for your Celebration. The exclusive hire of The Barn at Beal Restaurant includes white tablecloths; napkins; candles in single glass holders; tables and chairs. Depending on the nature of your celebration, we seat 80 for a formal sit down dinner and 100 for a Buffet. You also have the option of an outside BBQ. If your Celebration is for a party of 20 or less on a weekday, there is a small charge of £250 for the use of part of the Restaurant as the Restaurant remains open to the public. The Barn at Beal stands in a National Nature Reserve (NNR). These are nationally important sites that are carefully managed on behalf of the Nation by either Natural England or other approved trusts such as Wildlife trusts. The site is also in an Area of Outstanding Natural Beauty (AONB). These sites are protected by law for the benefit of those who live and work within them, and for the enjoyment of their many visitors. The primary purpose of the AONB is to enhance and conserve the natural beauty of the landscape. 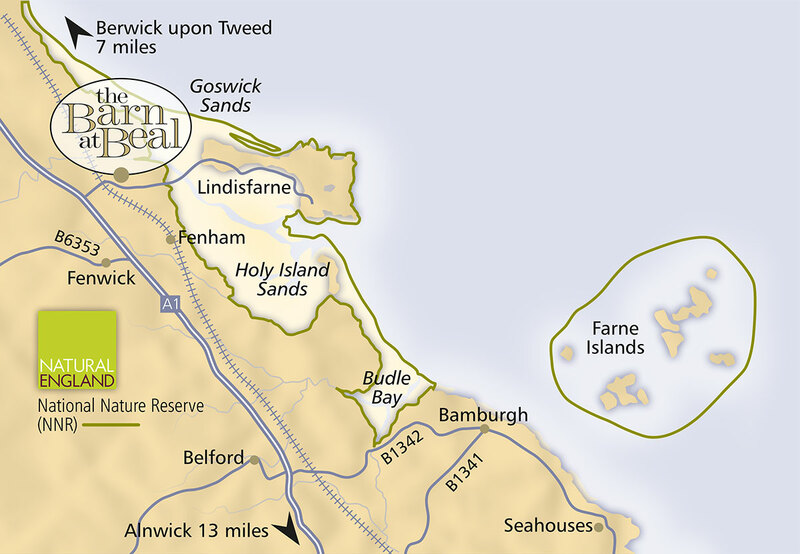 There are only two AONB’s in the North East; the Northumberland coast and North Pennines and Beal Farm lies within the Northumberland coast AONB. The panoramic view from the terrace at the Barn is second to none! On a clear day you can see from Goswick Sands to the North, to the East – Holy Island & Lindisfarne Castle with the Farne Islands behind, Ross sands and Bamburgh Castle to the South East, it is a breathtaking view. Open 7 days a week all year round excluding 24th, 25th & 26th December and New year’s day - We are also closed on new years eve evening we will be closing at 4pm.